It’s not hard to spot the differences between a bike made to scale the side of a mountain and a cycle produced solely to glide along paved highways as quickly as possible. Simple features like the size and shape of a tire or how reinforced the frame happens to be will give away a bike’s true intent faster than its owner can describe but spotting the differences between a mountain bike and a gravel bike takes a slightly more finely-trained eye. 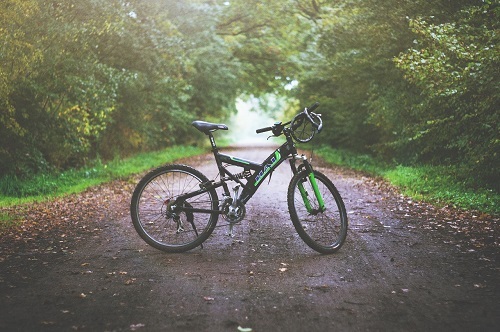 Spending time on a bike may be the best way to get to know its quirks but consider this more of an exercise in defining the exact ways in which bikes differ rather than an introduction to what a mountain or road bike truly is. For instance, those who spend a lot of time on hillsides and rolling around off-road are likely familiar with how different mountain events call for different specifications when it comes to a bike’s tire size, frame durability and aerodynamic capabilities. In short, if it’s meant to be taken off-road it likely prioritizes staying power and frame strength over other aspects. Road bikes take a very different approach out of necessity, often sacrificing small structural reinforcements in favor of shaving weight off of the final product. While subtle differences between a women’s bike and a men’s bike are often simply matters of bike scale and frame shape, you may find yourself with a very different frame if you plan to ride triathlon-style bikes designed with speed and aerodynamics over nearly everything else. Tires on these bikes trend towards grip on smooth surfaces and encourage mobility whereas a knobbed mountain tire fights to maintain the same speeds when taken out of its natural element. While gravel bikes have a fairly loose scheme of naming conventions and may be referred to as anything from a gravel bike to an adventure bike, it’s probably going to have its own set of quirks to work through just like any other classification of ride. While the world of mountain bikes discusses the merits of larger tire sizes and going tubeless, gravel bikes are just as preoccupied with finding what carves out the best times and ride quality in their fairly fresh category. In a way, gravel bikes can be seen as an off-shoot of cyclocross bikes meant to take to road and off-road terrain equally well, but with a stronger focus on the off-road portion of the equation. An affordable mountain bike enters its own category when it begins concerning itself with climbing power and how well its shocks handle sharp drops. Additionally, cyclocross concerns itself with speed but not so much with long-term ride friendliness. Taking a cyclocross bike out for an evening in the country may end with a sore back or a few struggles when it comes to finding the right gear for tackling hills, further setting them apart from their contemporaries. With definitions out of the way, taking a longer look at mountain bikes and gravel bikes is an easier proposition if not just due to ruling out certain criteria. A mountain bike works perfectly fine in conditions that might be called adventure biking, but it probably won’t achieve the same speeds or casual riding comfort you might come to expect. This is where mountain and gravel bikes diverge the hardest, as taking a gravel bike up a mountainside probably isn’t the best idea. Even simple speed tests only paint part of the picture, but they do offer insight into where design ideals diverge. Adding a focus on smoother rides and the ability to take longer-term trips really cuts into the climbing ability of gravel bikes on uphill stretches. There’s no guarantee they’re made for taking drops or navigating particularly nasty stretches of the outdoors, either. It’s the sort of gamble to be taken only by those with a scientific mind and a lot of money to replace bent spokes and flat tires. That isn’t to imply a lack of merit to categorizing gravel bikes as something apart from their cyclocross contemporaries, of course, and there are plenty of situations where a long-ride bike fits in where an aggressive, mountain-destroying bike just isn’t what you need. Tackling a grueling gravel event with a strictly mountain-oriented bike is almost a surefire way to end up with legs made of gelatin for the next few weeks, assuming you can struggle to the end of it at all. Different terms for different bike styles crop up for solid reasons and gravel bikes are no exception. Taking a mountain bike out of its natural element can be just as unfortunate as introducing a gravel or cyclocross bike to elements they happen to be ill equipped to handle, so keep abreast of when to break out each bike and your rides will remain as smooth as can be expected. This entry was posted in Land Sports, Mountain Biking and tagged Gravel Bike, Mountain Bike. Bookmark the permalink.